While you might think that hypnosis is just something used by entertainers to make you laugh, clinical specialists and others have been using hypnosis to help teen girls with a variety of issues from weight loss to depression. But it isn't all benefits, hypnosis on adolescents has some very real risks that you need to consider before giving it a try. In the simplest sense, hypnosis is a state of physical relaxation where the mind is open to receiving instructions or playing out an imaginary role. Hypnosis might resemble being in a trance or an altered state of consciousness, such as when a person is daydreaming. When a person is hypnotized, the eyes might be either open or closed, and there is heightened concentration and focus. Interestingly, from about age 14 to mid-adulthood is the best age group for response to hypnotism. It can be practiced in a clinical setting as well as at home. The applications for hypnosis for girls is vast and far-reaching. Not only can it help adolescent girls to improve their focus, concentration, motivation, pain, and self-confidence, but if used by a clinical medical professional it can help with habitual behaviors, mental health issues, sleep problems and chronic disorders. During deep relaxation, teen girls can be open to suggestions that can help them with habitual issues like hair pulling, teeth grinding or nail-biting. The suggestions within their subconscious can make them stop the behavior. This can be really helpful for teens that might pull their hair out in response to stress triggers. Female teens that suffer from sleep disorders like insomnia or parasomnias can use hypnotherapy to improve their sleep. This can work to not only improve their focus and attention in school but at home too. A national survey completed in 2012 shows that female teens are 4 percent more likely than males to use mind-body therapies like hypnosis. There are also several perceived benefits of hypnosis and other mind-body therapies as opposed to other forms of treatment. Hypnotherapy is a safe and non-invasive treatment that doesn't alter body chemistry. These therapies are shown to improve teens without other methods like medications. Additionally, one application can be enough to improve some patients. The techniques used in hypnosis can be taught to teens and self-regulated at home. This means that they won't require additional treatments at a clinic or center that might be hard to fit into their busy schedules. 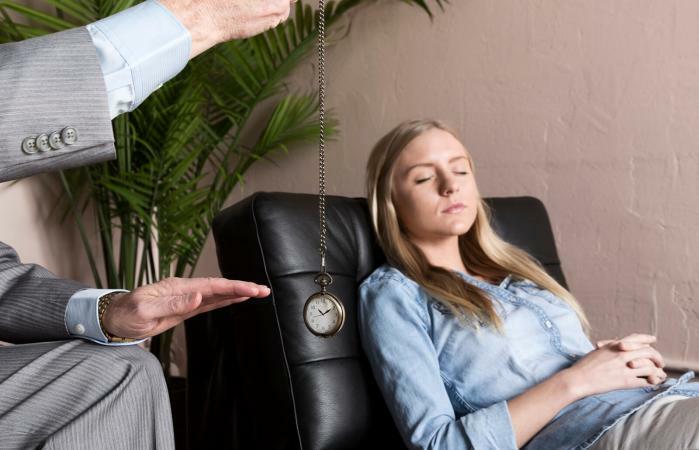 Hypnosis has minimal to no side effects for teens. While there are the rare occurrences of dizziness or possibly a headache, these are seen in very rare cases. 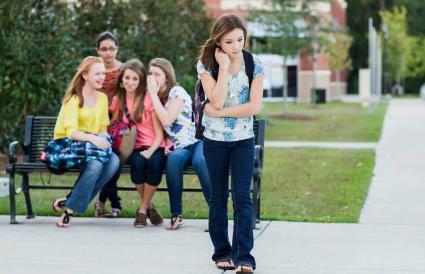 Teen hypnosis of girls can be tailored to the issue that they are experiencing. For example, if a girl is having trouble with test anxiety, treatment will focus specifically on resolving the underlying issues causing test anxiety along with the test anxiety itself. Hypnotherapy is recognized by the American Medical Association as a treatment for several disorders. Having certification shows that it is a proven treatment that patients can trust. Just as there are some major benefits for teens using hypnosis, there are some downsides to for girls as well. Exploring the risks and controversy of hypnosis for teenage girls is important for seeing the whole picture. One of the major controversies of hypnosis is that it can be abused. Some researchers point out that if hypnosis isn't used correctly, it can cause more harm than good in some teenagers. For example, hypnosis can open girls up to false memories or even hallucinations that can harm their mental state. In one instance, a principal who practiced hypnosis on students was sued after three students died, two of which committed suicide. It has been proven that hypnosis doesn't work for everyone. There are people with specific brain types that can't find the deep level of focus and concentration needed for hypnosis to work. Therefore, this isn't a viable treatment for all teenagers. While insurance companies might cover hypnosis, sometimes this isn't the case or they might only cover partial costs. This can mean that hypnosis can cost parents from $50-250 a visit for their teens. When 3-6 sessions are typically needed, this can be a deal breaker for some parents. Sometimes hypnosis is used for entertainment and comedy purposes on a stage. The hypnotist will bring a group of people up on a stage, hypnotize them and then make humorous suggestions to entertain an audience. Teenage girls might enjoy watching these shows and will likely be awed at the power of the mind. Often, the hypnotist will ask for volunteers and let the audience watch as the participants use their imagination, as they are convinced of many amusing things. This is a fun outing for teens to see hypnosis in action. Hypnosis isn't for everyone. However, teens that have used hypnosis have experienced improvement with very little side effects. Additionally, this multifaceted treatment can be used to treat different disorders and can be adapted to the problem. However, hypnosis can be dangerous if it isn't performed correctly or is abused. As a parent or teen girl, it's important to weigh the benefits against the risks to make sure this is the perfect treatment for you.